Wastefully exploiting and burning fossil fuels is outdated. There's no reason to put money into industries that destroy the natural systems that make human life possible. But there are many reasons to stop giving them money. 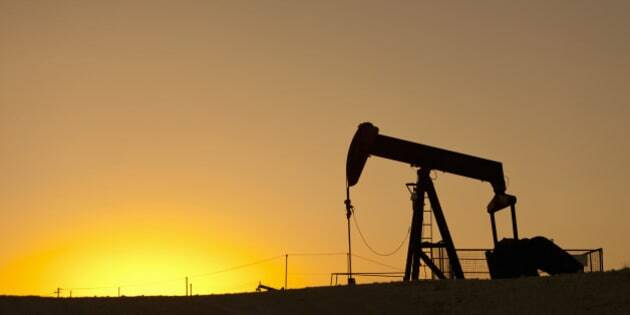 Oil pump working in an extensive oil field at sunset. If people keep rapidly extracting and burning fossil fuels, there's no hope of meeting the 2015 Paris Agreement climate change commitments. To ensure a healthy, hopeful future for humanity, governments must stick to their pledge to limit global warming to 1.5 or 2 C above pre-industrial levels by 2050. Many experts agree that to meet that goal, up to 80 per cent of oil, coal and gas reserves must stay in the ground. That makes fossil fuels a bad investment -- what analysts call "stranded assets". McGill University's board of governors touted the latter as one reason for rejecting a widespread call to withdraw about $70 million in fossil fuel money from its $1.3-billion endowment fund. But the university appears blind to the problem. In a report to the board, the McGill Committee to Advise on Matters of Social Responsibility wrote, "The Committee is persuaded that the beneficial impact of fossil fuel companies offsets or outweighs injurious impact at this time." In response, many McGill alumni, including David Suzuki Foundation Quebec and Atlantic Canada director-general Karel Mayrand, returned their degrees. The inability of students, faculty, staff and the public to convince boards at McGill, the University of British Columbia, Concordia University, Dalhousie University and the University of Calgary to divest shows how entrenched the fossil fuel industry is when it comes to large investors. But it also shows that individuals play a major role in getting institutional money out of the industry. Although these campaigns haven't convinced those boards to divest -- yet -- they've raised awareness about fossil fuel investments. The divestment campaign has also won numerous successes. A growing number of universities, banks, pension funds, unions, churches, cities, insurance companies, individuals and even the U.K.'s Guardian newspaper have pulled funds -- which makes fossil fuel investments even shakier. The David Suzuki Foundation works with Genus Capital to ensure that none of its endowment fund is invested in fossil fuel-related funds, and to develop strategies for ethical investing -- which hasn't harmed returns. In fact, Genus reports, "fossil fuel free investing is proving more profitable than conventional investing." According to 350.org, the major force behind the divestment movement, "more than 500 institutions representing over $3.4 trillion in assets have made some form of divestment commitment" as of late 2015. Divesting is just the start. As 350.org notes, reinvesting in "renewable energy, energy efficiency, and climate mitigation and adaptation infrastructure" not only helps the world shift away from fossil fuels, but is also financially wise. One option besides stock portfolios is to reinvest in initiatives that help the climate and the bottom line, such as making buildings more energy efficient. According to the Guardian, "One conservative report calculated that investing $400,000 on efficiency in a 100,000 square-foot building would deliver $1.50 per square foot in reduced energy costs over a similar building without the efficiency" -- for an annual saving of $150,000! Wastefully exploiting and burning fossil fuels is outdated. There's no reason to put money into industries that destroy the natural systems that make human life possible. But there are many reasons to stop giving them money. It's time to invest in a healthier future.